YOU'RE READING Are fashion weeks in SA reserved only for the young? And are older models purposefully left out? 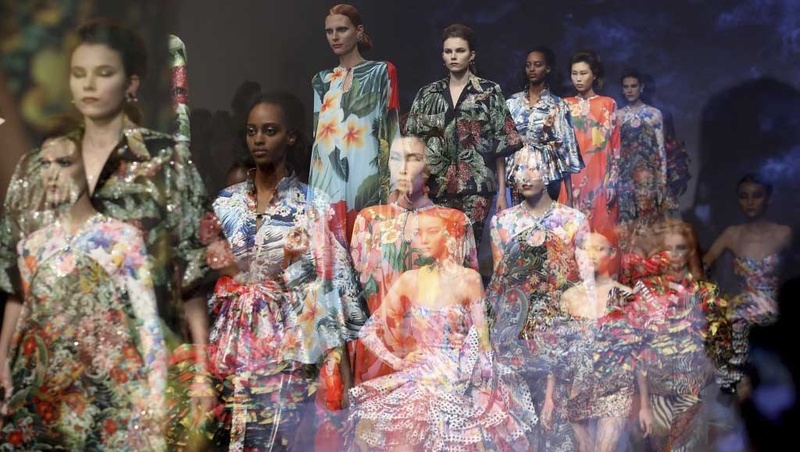 New York and Paris fashion weeks have now concluded their respective seasonal collections, where it was not a rare occurrence to see models who are well beyond their 20s strutting the latest designs. Could this become a trend in South African fashion weeks as well? At the moment, it seems unlikely. At the most recent AFI fashion week this month, the runways showed a diversity of models in size, height and colour but it was more difficult to spot visibly older models presenting the latest collections. Modelling agencies in South Africa book plenty of models who are 40 years old or more for local modelling jobs, but these models have not been popular on fashion runways. G3 Models has a tab on their website that categorises models by gender and age. The agency said older models do get significant jobs but they hardly have their models being booked for the catwalk during fashion weeks. Carl Heunis, a director at G3 Models, said there is more of a demand for curvy women than older models. “TV mostly books older models,” said Carl. At Ice Models, older models are more popular when it comes to beauty related jobs involving perfumes and cosmetics. Operations director at Ice Model, Jane Celliers, says there have been some bookings for runway but more so for models in their late 30s but not older. Ultimately, she said that it is usually up to the designers to decide the models they require for the shows they are organising. READ MORE: Ashley Graham has hit back at fat-shamers and insisted haters can only put you down if "they are given power"
However, Jane said that South Africa’s creative industry is quite progressive. “We’re a very much forward thinking country, our creatives are forward thinking,” she said. Lara White, a director at Boss Models, said there are very few models working full time who are over the age over 40 because of parenting obligations and the fear of “erratic” incomes. “That being said, there are a few models who do make it work, and have loads of experience, so have longevity in their careers… We have not had an over 40 model walk for fashion week recently though,” said Lara. She says older models do get booked when the job is targeted for their age group but that fashion jobs mostly go to models between 16 to 30 years old, depending on the model and the brand. *Questions sent to AFI were not responded to by the time of publication.